West Virginia state policy allows students to earn dual credit for academic or CTE postsecondary courses taken at their high school or a postsecondary institution. Public postsecondary institutions in the state are not required to accept dual-enrollment credits (ECS, 2015). 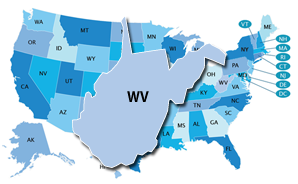 West Virginia is not participating in the Early College High School Initiative (ECHSI). More information about schools participating in ECHSI is available at the ECHSI website (Jobs for the Future, n.d.). West Virginia has adopted the National Career Clusters Model and is implementing all 16 Career Clusters. “In West Virginia, development of the Individual Student Transition Plan (ISTP) should be a systemic process in which the student has ample opportunities to explore personal interests, assess abilities, explore career options, and academic and career technical opportunities available to them within the high school and post-secondary institutions." West Virginia's ISTP is mandated by the state. It includes all students in Grades 9–12. West Virginia’s state-specific Early Warning System is called the Early Warning System (EWS). Early Warning System data are reported by student level and by school for school administrators and countywide for county administrators, with school administrators and leaders, county administrators, and special education teachers given access to data.